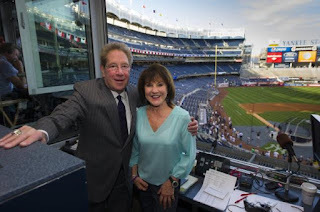 Subway Squawkers - A Yankees-Mets Rivalry Blog: Toldja! : Jonathan Papelbon continues to be Cinco Dopo. Toldja! : Jonathan Papelbon continues to be Cinco Dopo. What can make me cackle and rub my hands together in glee? Why, it's seeing Jonathan Papelbon getting heat for doing something really stupid! And choking Washington Nationals teammate Bryce Harper, only the best player on the team and an MVP candidate, was mind-numbingly idiotic, even for Papelbon.. In yesterday's game, Cinco Dopo yelled at Harper for not running a ball out. There was already some bad blood between the two of them, after Papelbon threw at Baltimore Oriole Manny Machado's head -- twice -- the other night, pitches that got him a three-game suspension from MLB. Harper told the media then that he expected to be hit in retaliation, and made it clear he wasn't happy about what his teammate did. Click here to see clips from the fight. I think running out every ball is overrated, anyway. Conserve your energy for the plays that matter, Given Harper's injury history, he doesn't need to get hurt on a meaningless play. But at any rate, Harper did get to first on the play. Just not as fast as Papelbon demanded. Cinco Dopo was clearly out of line here. But Matt Williams, the team's manager, was out of line as well in keeping Papelbon in the game after his closer just choked his best player! Meanwhile, Harper was taken out of the game for the ninth inning, even though it was a tie game. At any rate, Papelbon blew the game and the Nationals lost. I had moved toward the back to visit some friends, and saw it on the TV monitors they have in the back attached to the overhang. They must have played it 2 or 3 times & each time a whole new section saw it & let out an involuntary gasp. It really was that stunning. So basically, many of the fans in the park saw what was going on via TV screens, but nobody around Williams could get word to him how bad the fight was? Not to mention all of the teammates and coaches who were right there when Papelbon choked Harper! And Williams didn't even bother to watch the clip before meeting with reporters after the game! Williams ought to lose his job just for being so ignorant. You know, yesterday was Fan Appreciation Day for the Nationals, and they have a giveaway where lucky fans literally get the jerseys that each player wore in the game. Whoever got the Papelbon or Harper jerseys just hit the jackpot! And Papelbon is just the worst. First, he dissed Red Sox fans in favor of Philly fans when he left town. Not exactly a classy move to insult those who paid your salary. Then there was his incessant crotch-grabbing as a Philly, capped by years of complaints about the Philadelphia fans, and the team itself. In fact, he basically whined his way out of town -- and then dissed the Phillies some more after leaving town. So what happens? As Squawker Jon noted, the Nationals were in first place over his Mets by three games when they traded for Papelbon and displaced closer Drew Storen. If you remember at the time, a lot of fans thought this was a bad move, and would screw up Storen -- and team chemistry. And sure enough, that's exactly what happened. Storen busted up his thumb punching his locker in frustration. The Nationals, who were projected to win the World Series this year, blew their division lead, and the Mets ended up winning the division. Now the Nationals have another year of Papelbon -- they picked up the option in his contract to pay him $11M next season in exchange for him agreeing to the trade. How's that going to go? 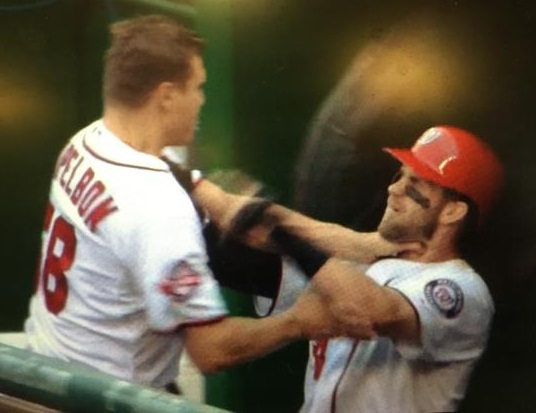 Papelbon is a loose cannon, to say the least. Who's going to trade for him? Wait a minute. Uh-oh. He's a former Red Sox, something that is catnip to Brian Cashman. Please oh please don't let Cashman trade for Papelbon! Good grief. Congratulations to Squawker Jon and our many Met fan friends for their team winning the NL East division title and making it into the postseason. For whatever reason, I actually have more Met fan friends than Yankee fan friends. Especially in the blogging community. I hope a Subway Series is in the cards for this year! So basically, you just came here to troll, basically the usual? The trolls are in the Bronx at 161st street, I'm just telling it like it is.